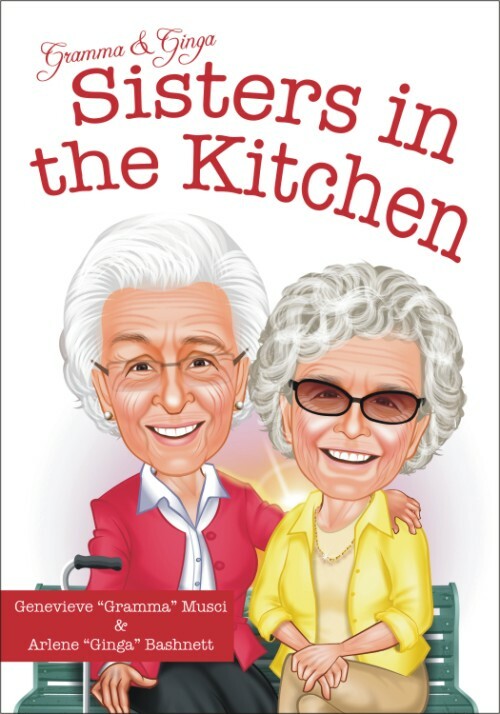 Cooking with popular personalities, Gramma and Ginga, who have taken the country by storm with their country humor and wisdom of their combined life experiences. They appeared on the Jimmy Kimmel Show and others, sharing their family stories and making all ages smile! Popular personalities, Gramma and Ginga, have taken the country by storm with their country humor and wisdom of their combined life experiences. They appeared on the Jimmy Kimmel Show and others, sharing their family stories and making all ages smile! Gramma and Ginga both learned to cook at an early age from their Italian mother and also through trial and error. Gramma was always more of the regular cook and Ginga was always the baker. Growing up, we all have memories of them both hard at work in the kitchen during all the holidays. ey both continue to cook to this day and insist on helping us in the kitchen when they visit for the holidays. Some of our fondest (and funniest) memories are of them arguing over the ingredients for this, or cooking time for that. Neither agreed on much of anything, but somehow the food always tasted amazing. We hope you enjoy their recipes as much as we have!